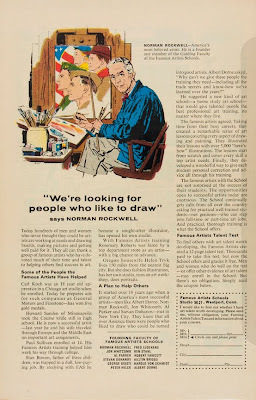 (Above) THIS was the ad that started it all. (Above) “HEY KIDS!” the number one most over-used phrase in sales promotion. Click on any image for larger view. (Above) Juicy Fruit ad, 1960s. 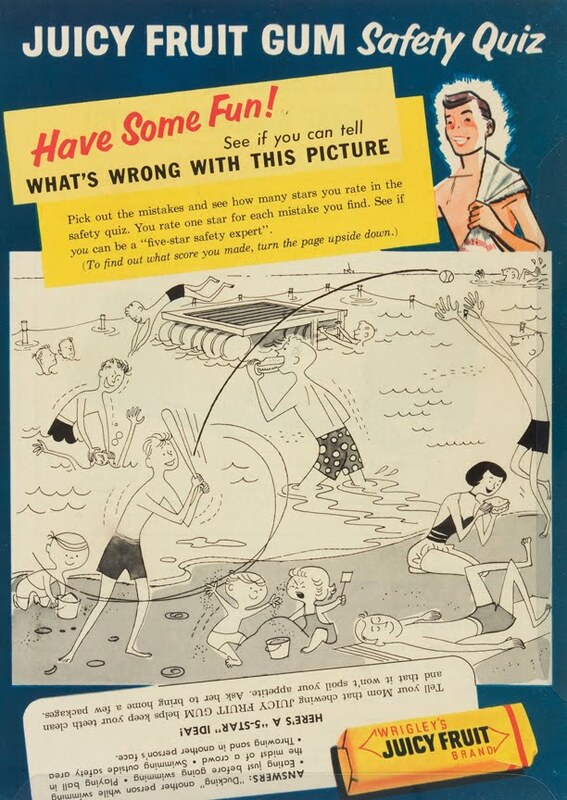 Uh-h duh-h, let’s see, where are the safety hazards! Click on image for larger view. 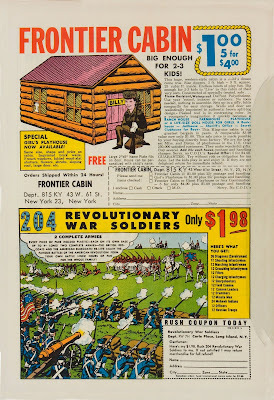 (Above) A “Frontier Cabin” for a buck. Click on image for larger view. (Above) Oh yea, kids! Be a shoe salesman! Be cool! Click on image for larger view. (Above) This guy is sorta creepy. And he teaches ART lessons! 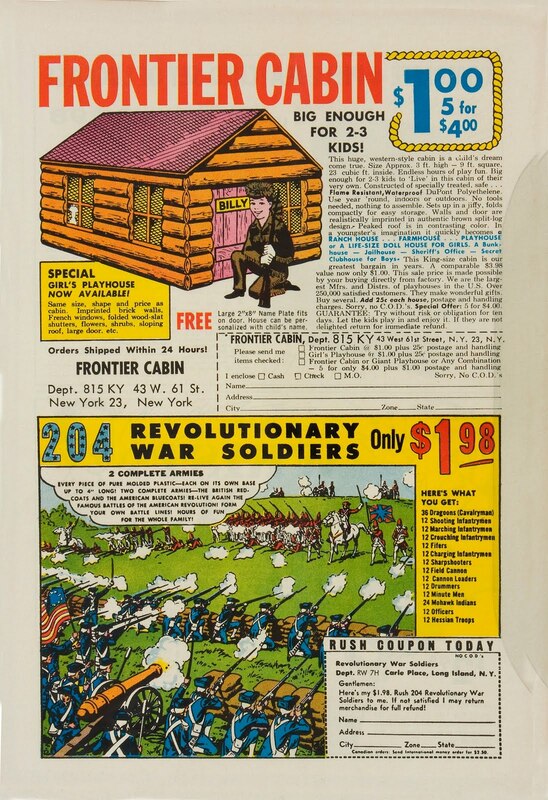 I WAS A VORACIOUS READER OF COMIC BOOKS AS A KID IN THE 1960s. 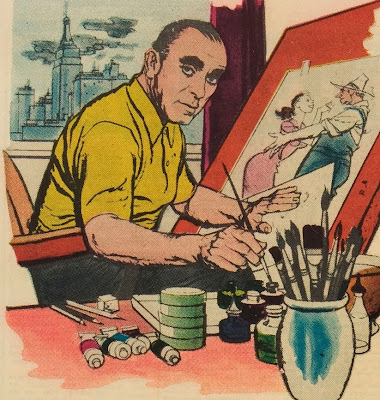 IT WAS COMIC BOOKS THAT SPURRED MY IMAGINATION, HELPED ME LEARN TO LOVE READING, and put me in touch with some of the crappiest products I ever experienced. Yes, comic book advertising! 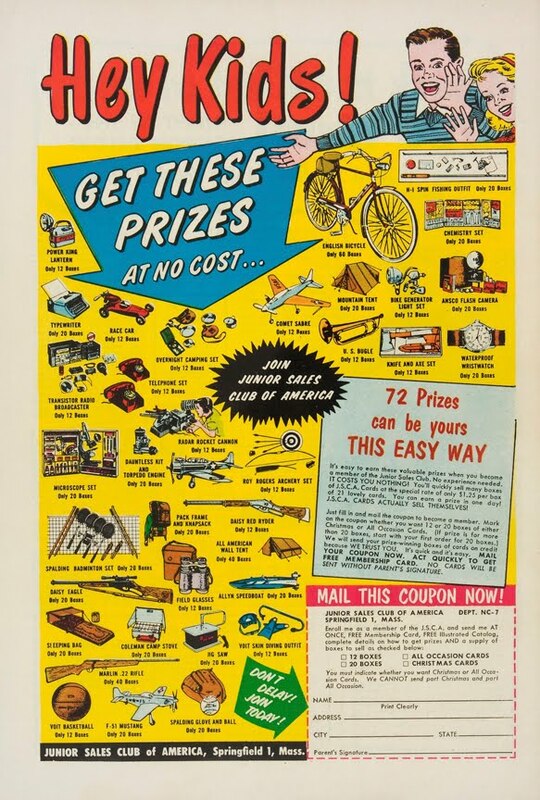 It was unregulated and targeted children with visions of prizes beyond their wildest dreams. 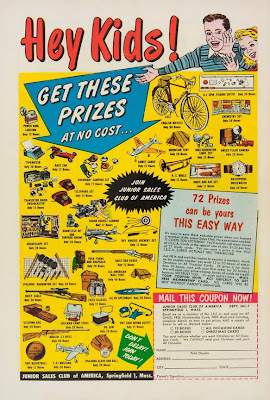 BB-Guns, sporting equipment, art lessons, bicycles and the best crappy prize of all time, X-Ray Specs. You could get many of the same prizes through many different advertising schemes, by sending in cash OR sending in a coupon for a sales incentive program. So, since I didn’t have two nickels to rub together, I send in my “free” coupon to one scam and two weeks later I received a rectangular box of flower seeds that I was supposed to SELL! Each box was filled with something like 50 packs of flower and vegetable seeds, and I was supposed to sell them all. If I remember correctly, they were something like 10¢ a pack. They might have been as cheap as a nickel a pack. But I sold ’em, and sold ’em like crazy! 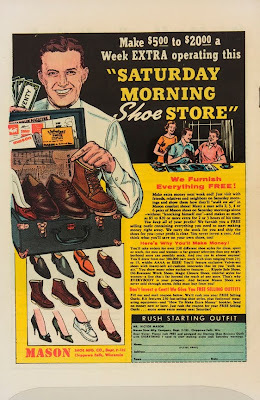 I sold them to my mother, neighbors, relatives, and strangers door-to-door. It’s amazing what incentives will do to drive sales! And of course, what prize did I want more than anything? Let’s see. Hmmm. I was a boy and about 10 or so years old. Have you guessed it? Yep. 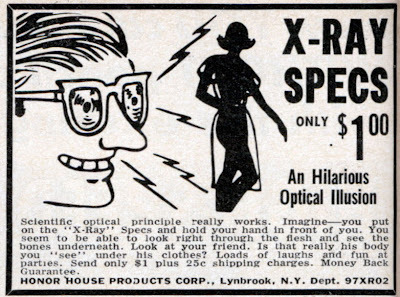 The X-Ray Specs! Turns out the “x-ray” lens was just a hole the size of a BB inside the middle of a cardboard lens... with what looked like a piece of a little feather put inside the hole. Whaaaat? (Yes, I finally took it apart.) The tiny little fibers of the feather (when they were close to your eyes) made things like your hand look vaguely like you “might” be looking at the bones in your hand. 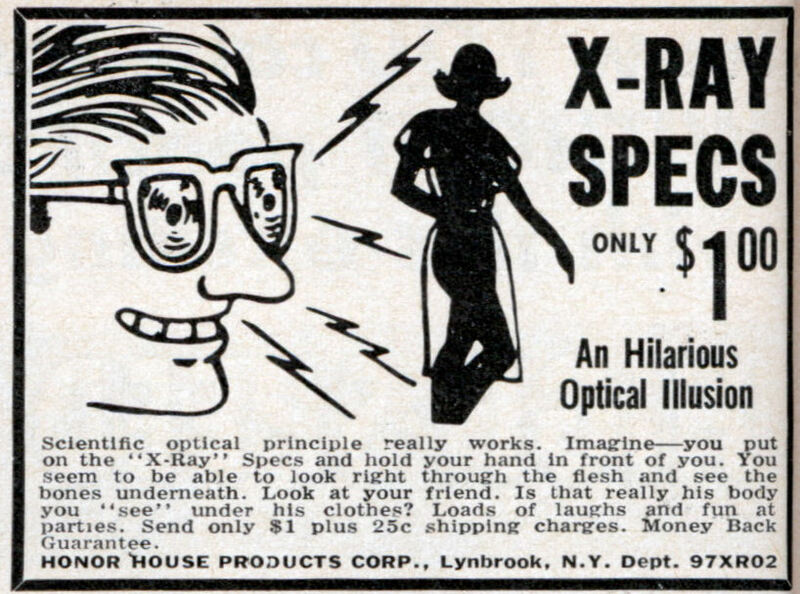 The saga of the X-Ray Specs was not the first, but the beginning of MANY disappointments in my life. 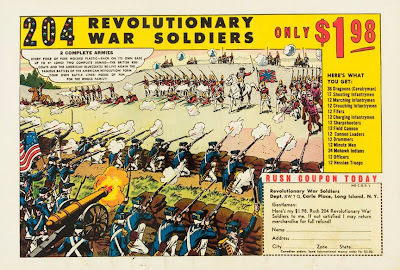 You might be even more disappointed to learn that the inventor of "X-Ray Spex" and "Sea Monkeys" channeled his profits to white supremacy groups! OMG! Nooo-ooooo!!!! Sea Monkeys too???? I am so disappointed! I must have read the same comic books in the 1960s as a kid; the memory hitting me when I saw these images was visceral. Since I liked to draw, I sent away for the "Famous Artists School" test, completed it (as I recall, it seemed like a fairly legitimate drawing test), and sent it back. 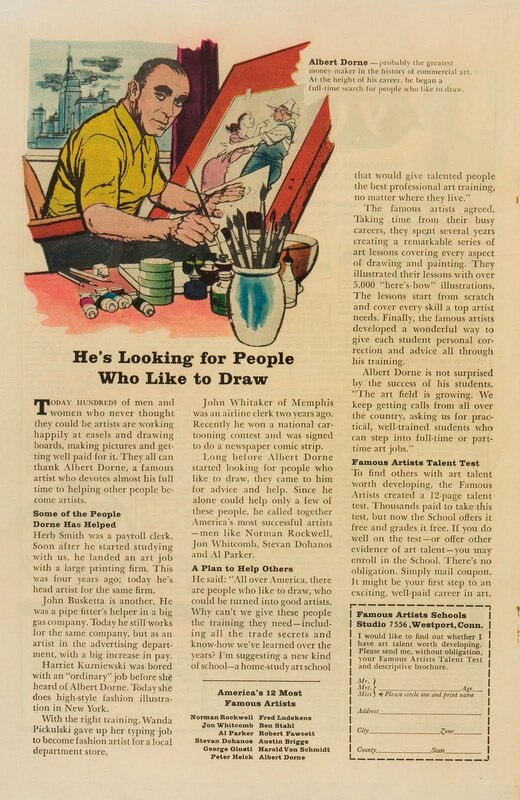 I received a phone call from someone at the school, telling me I could become an artist! Couldn't convince my parents, though.